Let me first introduce Food & Beverage Manager, Sr. Aldo Barbarin. Aldo was our initial and main point of contact once we arrived at EPM. 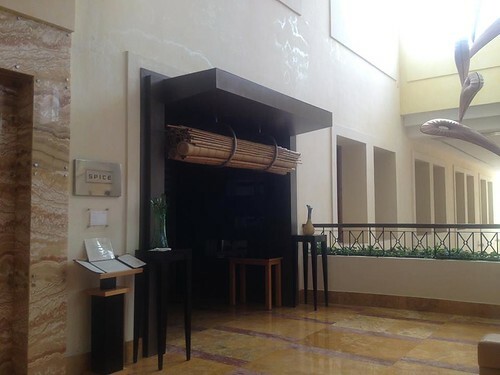 He greeted us as we entered the resort and I was thrilled we had someone tied to the food and beverage program to be there for us and really connect with my personal interests. Aldo was fantastic and I cannot thank him enough for the amazing service, guidance and care he provided throughout our entire stay. I loved that he took the time to get to know us, our specific culinary interests and really delivered excellent service by going above and beyond as outlined in my reviews below. 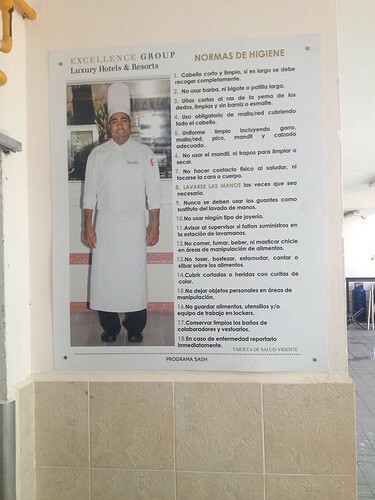 Secondly, I wanted to make mention of Executive Chef Antonio Torres Rios. Sadly, on our last day of our visit, he was off from work and we were unable to get a picture with him. But together with Aldo and his staff at the resort restaurants, Chef Antonio provided us with such memorable dishes, highlighting the flavors, textures and culture in each restaurant we dined in. He took the time to share his experience working all over the world, his expertise as we tasted his dishes and also educating us on the cuisine of Mexico - something I truly value and learned so much about. A majority of the restaurants are clustered centrally in and around the main building - same one all guests arrive and depart from. 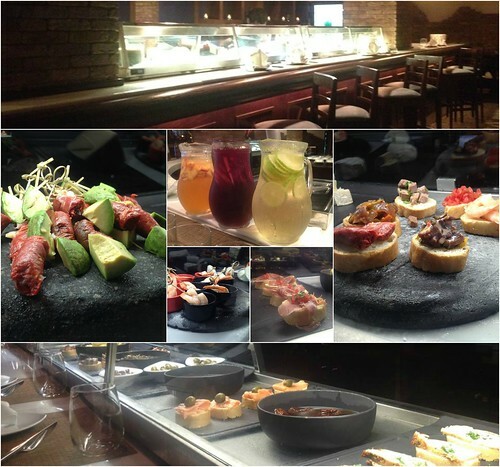 Within the main building, you have five eating establishments (Aroma Cafe, Chez Isabelle, Spice, The Flavor Market, Barcelona) and The Martini Bar. 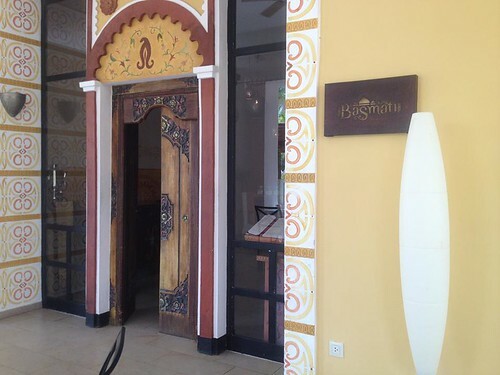 Connected to the main building and accessible from outside the building are two more restaurants (Basmati and Tuscany.) 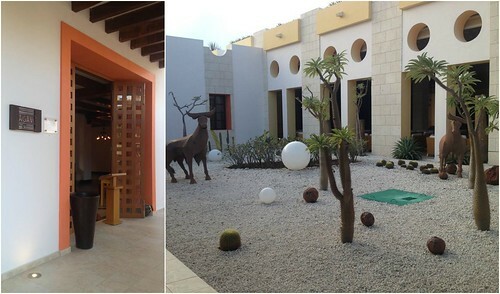 There is also a stand alone restaurant, Agave, which is the southern most restaurant, closest to the spa and Buildings 1-6. 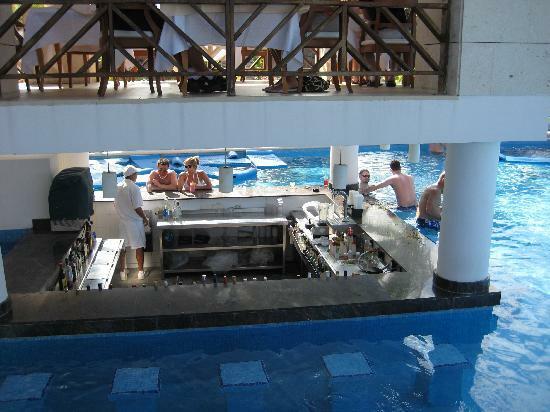 Near and around the beach, there are two more restaurants (The Lobster House and The Grill) that sit above the main resort pool and swim up bar. 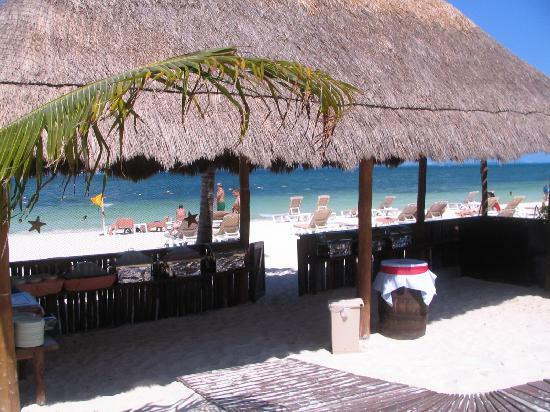 There is also a large open-air thatch-roof palapa (Las Olas) which offers daily themed specials. 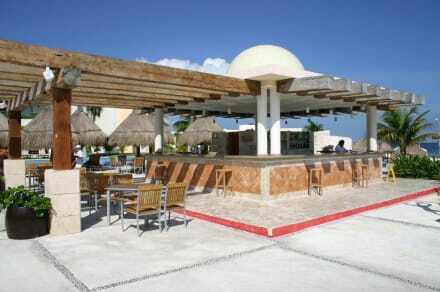 There are a total of 11 bars located throughout the property and a nice cold drink is never more than a few steps away. 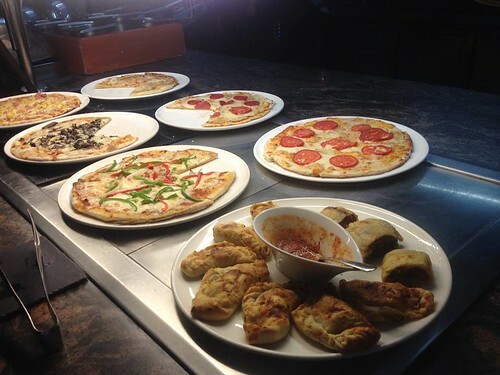 Some bars have things to eat available, such as self service ice cream and brick oven pizzas. 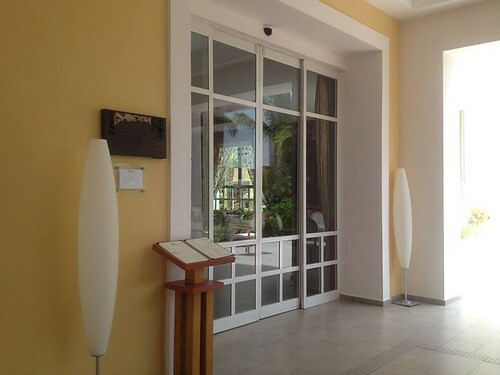 There are quite a few options available for breakfast at EPM, including the daily buffet, select restaurants, a coffee house, room service, and the Excellence Club in-room champagne breakfast. Shorts, bermudas, sarongs and t-shirts are welcome. Tank tops, swimsuits and wet clothes are NOT allowed. Wet clothes are NOT allowed. TIP: You're able to request your food and drink order to go - you do not have to eat it at the cafe. They can also provide disposable serving ware if needed. TIP: If the Martini Bar below is open on the lower level of the main building, you can ask for a shot of liquor mixed into your coffee! TIP: Like to stay on the grid while on vacation? You can check email and surf the web while enjoying the offerings from Aroma Cafe in the Library/Internet Cafe, located next door. You'll be able to change the language settings from Spanish to English easily or simply surf via Google using a specific country. Just don't save your passwords on the computer and be sure to log off completely as these are public computers! TIP: If you do not want to wait 45 minutes for breakfast or wish to have breakfast ready at a specific time in the morning, I recommend you call in your breakfast order the night before and state what time you'd like it delivered. Excellence Club members also have the additional perk of an Excellence Club Champagne Breakfast delivered to their room. 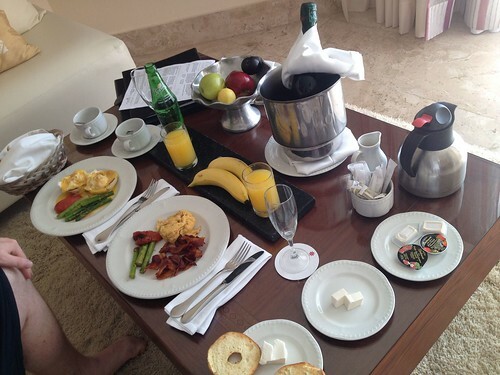 One Champagne Breakfast is offered per stay, per room and can be scheduled with the EC concierge. The breakfast menu is the same as the standard room service breakfast offerings with the addition of a chilled bottle of champagne. When delivered, staff will be happy to set up your breakfast either inside on the large table or outdoors on your balcony/patio. Ready to move onto lunch? 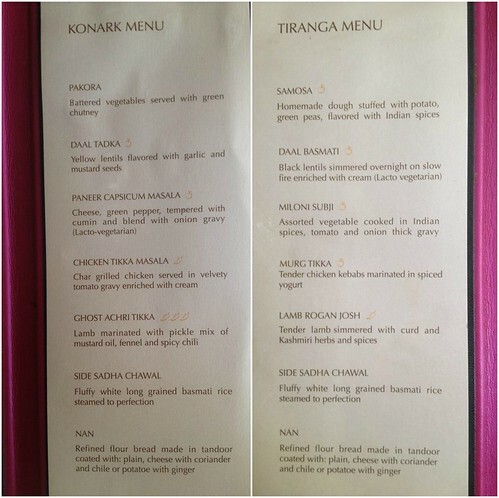 So lunch options are similar to breakfast where there is also the daily buffet, select restaurants, a coffee house, room service, and beach offerings. 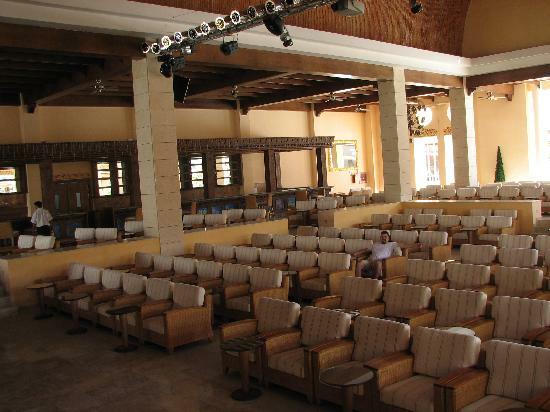 TIP: During the lunch hours, there is often some live music being played on a small stage at The Lobster House, just above the main pool and swim up bar.. If you're still full from breakfast but want something lighter, hit up Aroma Cafe, as outlined above for breakfast. Same offerings throughout the day for something light. Lunch time is fun on the beach! Everyday, something different is offered at Las Olas, an open-air thatch-roof palapa. Tank tops, swimsuits and wet clothes are also allowed. 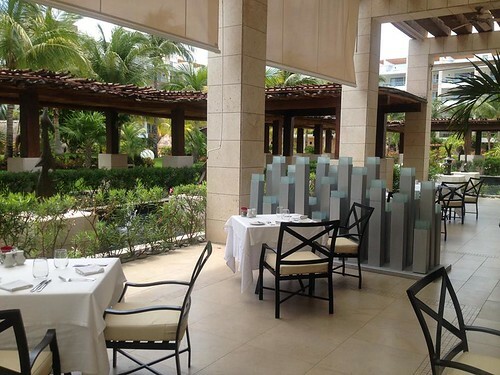 Another beachside option for lunch is Sol Bar where there brick oven pizza is available. There are a few varieties offered including: deluxe, cheese, hawaiian, sausage, pepperoni, etc. 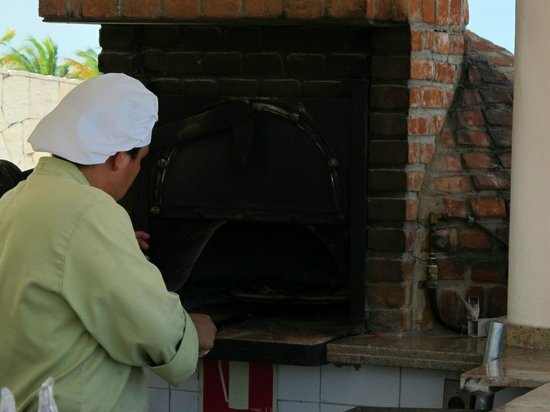 Expect a line for the pizzas as they can make a few at a time... but the wait isn't long as they cook up within minutes in the brick oven. 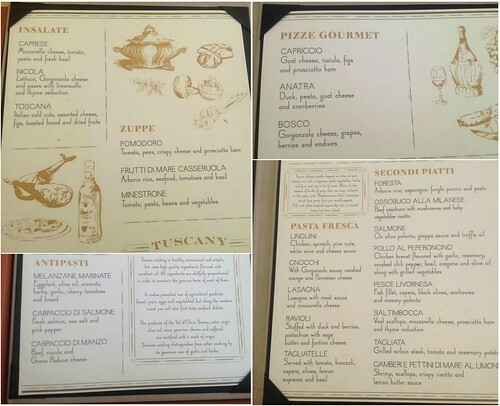 Pizzas are served to go in small pizza boxes, allowing you to carry them out and enjoy on beach, poolside, back in your room, etc. TIP: If eating the pizzas on the beach or around the pool, note there is a pizza box disposal next to Sol Bar. The property has made great efforts in being 'green' and separating waste accordingly. So please do your part and dispose of your pizza boxes in the designated bins. Whew! With breakfast and lunch done, let's take a breather before we tackle dinner... and talk about snacks. Snacks are everywhere. 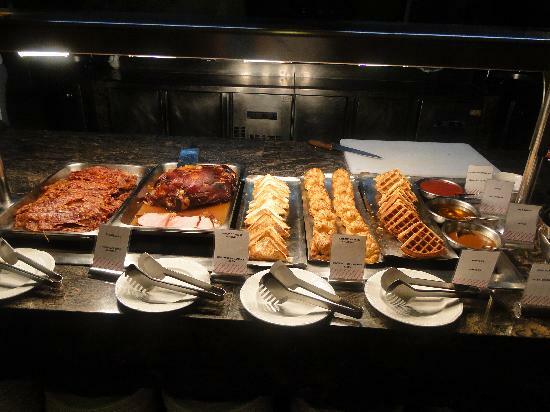 You definitely will not go hungry or thirsty at EPM! 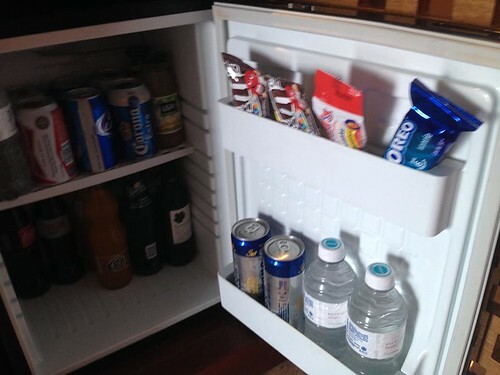 We've already covered the snacks available in your room/mini fridge - Snickers candy bars, Plain M&Ms, Oreo cookies, Lay's potato chips. Room service snacks are available too. 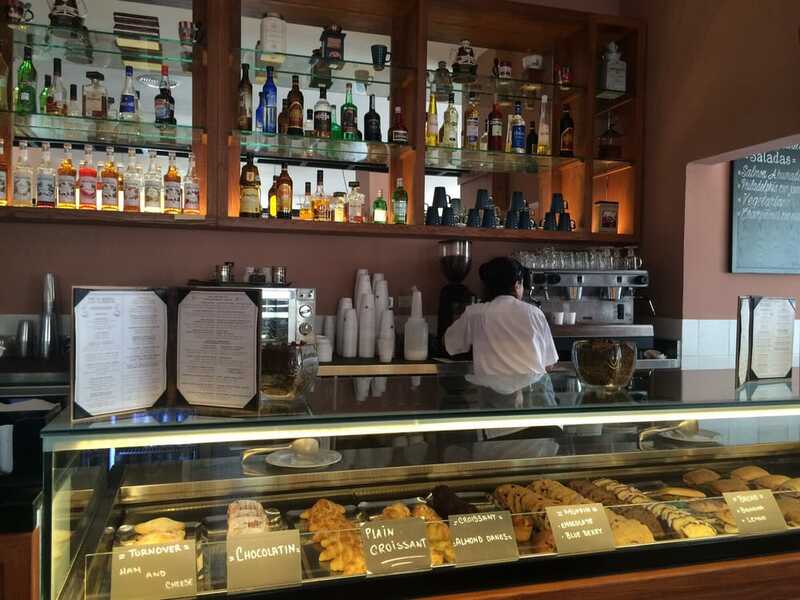 Again, I'll mention Aroma Cafe for their sweet and savory crepes, gelato, mini paninis and pastries. And because Toscana's lunch buffet is open until 4pm on most days, stop in before they close to grab something to nibble on! We started our meal with the pear & goat cheese salad (me) and French onion soup (husband). Both were well prepared and a good portion size. The salad of field greens had roasted pears, creamy goat cheese and orange segments with a drizzle of honey mustard dressing. The French onion soup was made with a touch of white zinfandel wine and topped with a baked gruyere cheese crust. For our entree, we had the Grilled Beef Medallions (me) and Filet Mignon (husband). Both were prepared exactly as we asked (medium rare). The grilled beef medallions were served with a red wine and black pepper sauce, along with a bernaise sauce. The sauces were just enough for some flavor, and did not overwhelm the lovely cut at all. The filet mignon was served with a cabernet sauvignon reduction and served with mashed potatoes and sauteed vegetables. By the time we were done with our entrees, we were stuffed... so we thought. Our server, Martin, came by with a special dessert from the chef - a dessert tasting plate of cheesecake with a praline crust and chocolate molten cake to share. It was the perfect ending to our meal. Simple dishes are the most difficult to make and our dinner at Chez may have been simply stated but executed perfectly. After our dinner, Sr. Aldo was there to greet us and ask us how our meal went. He also asked if we would have time to meet Executive Chef Antonio the next day to go over our dinner plans for the rest of our stay. This restaurant is open from 6pm to 10:30pm. This restaurant was closed on Wednesday the week we visited. Ladies: Dresses, long pants, capri pants, skirts with blouse. Shoes: Casual shoes or elegant sandals must be worn. Not Allowed: Tshirts, tank tops, shorts and beach sandals. Spice (Asian with sushi bar), was where we had dinner on our second night. This restaurant is popular for their teppanyaki table. We were told beforehand that guests tend to line up at the restaurant before it opens to place a reservation for a spot around the teppanyaki table - which seats 8. There are two of these tables available and so seating can be limited if there is a large group that want to eat together. 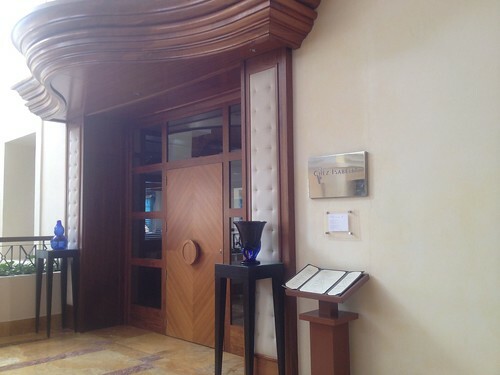 Sr. Aldo was able to secure a reservation for us, so there was no need for us to wait in line to place our name. 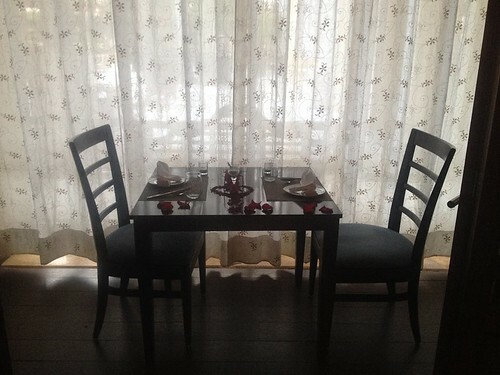 When it was time for dinner, we were seated around the table with 3 other couples. Dinner was entertaining and interactive, just as teppanyaki meals should be. Having dined at various teppanyaki restos, I was quite pleased with EPM's quality and the portion sizes were perfect. We started with a Maki Combo, which included 1 piece of each; California Roll, Spicy Tuna Roll and Smoked Salmon with Cream Cheese Roll. To cleanse the palate, we had a nice miso soup. 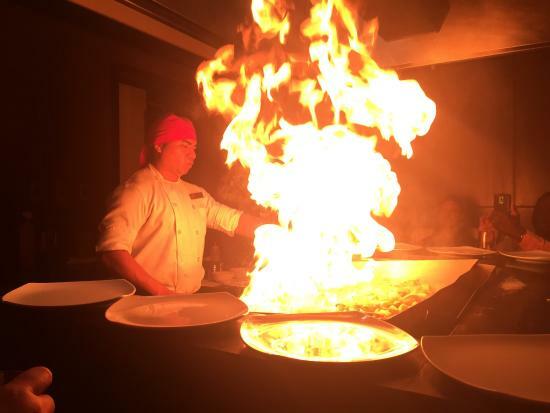 Our entree was made during the teppanyaki show and guests had the choice of chicken breast, group filet, shrimp, beef tenderloin, squid or a combo of chicken/shrimp/beef. 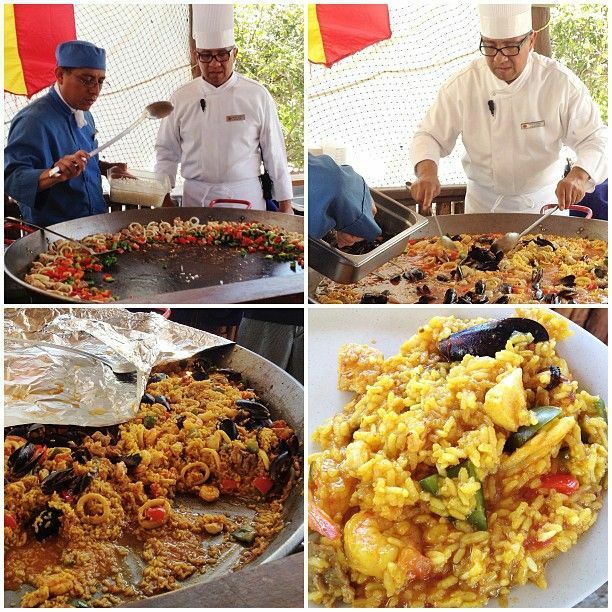 The entree was served with fried rice and stir fried vegetables. For dessert, tempura ice cream, which were profiteroles filled with vanilla ice cream and drizzled with chocolate sauce (or strawberry or honey). To drink, any requested cocktail, beer, wine, juice and even tea were available. This restaurant was closed on Sunday the week we visited. Shoes: Casual shoes or elegant sandals must be work. Basmati (Indian) was where we had dinner on our third night. I love (non-spicy) Indian/Pakistani cuisine so I was looking forward to seeing how Basmati's dishes would turn out being in Mexico. In one word... amazing. My husband isn't that big of a fan of Indian/Pakistani cuisine, so when he was impressed and he finished dishes with no help from me, that was a home run in my book. The first thing you will notice upon entering the restaurant is the ornate entrance as well as a traditional garb worn by the hostess. These small details really add to the ambiance of the dining experience at Basmati and these are details I truly appreciate. 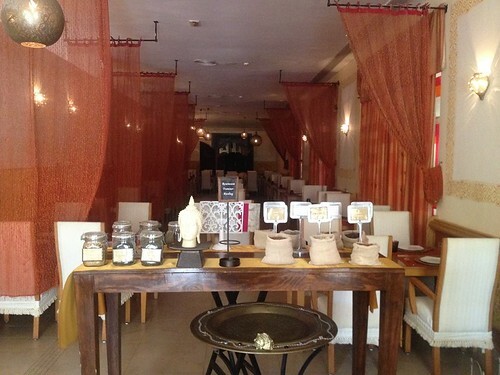 You'll also notice a front table with a variety of spices commonly used in Indian/Pakistani cuisine. 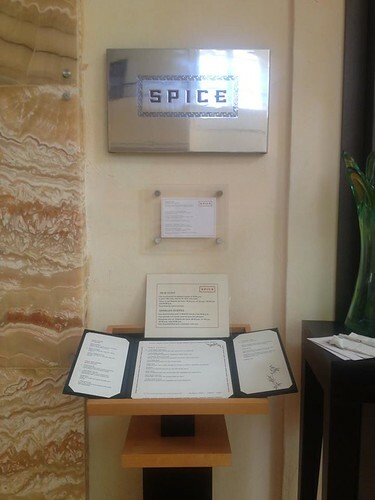 This signifies that they are not using commercially prepared spice mixes. Our table was once again adorned with fresh rose petals... such a romantic touch! "Basmati" is the Hindi word for 'fragrant' and refers to the nut-like flavor and aroma of the small, long-grained rice. It has been used in India and Pakistan for thousands of years and pairs well with curries. Appetizers - Samosas and Pakoras. The samosas were delicious and not too doughy, with the perfect balance of dough and filling. These samosas were stuffed with potatoes and green peas. We also had pakoras, which are lightly battered vegetables and fried. Both were served with a trio of sauces - raita, mint sauce & tamarind chutney. Main Courses - We were each served a tasting platter of 3 entrees and rice. The entrees included Chicken Tikka Masala (grilled chicken in a creamy tomato gravy), Kori Gassi (chicken in ground coconut, coriander and red chili), and Lamb Rogan Gosh (lamb simmered in Kashmiri herbs and spices). 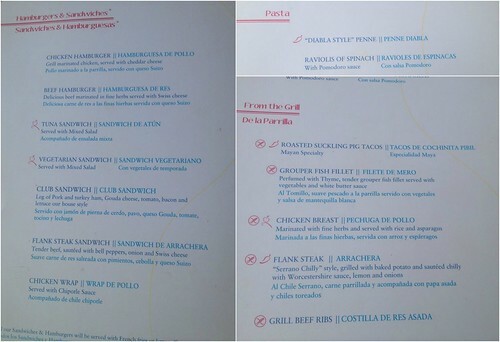 All of these entrees were outstanding. It was hard to pick my favorite as I always love a good chicken tikka masala, but the chicken gassi was unique and so delicious. My husband's favorite was easily the chicken gassi. 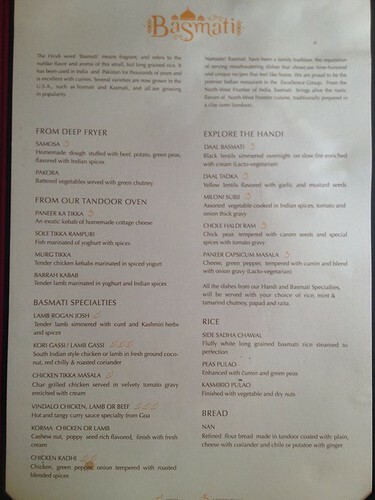 Our entrees came with two kinds of rice - basmati rice and Kasmiri Pulao (basmati rice with vegetable and nuts). We also had a basket of naan bread. Dessert - By the time dessert came, we were stuffed but managed to enjoy the chef's dessert platter which included a small cake and ice cream to share. This restaurant was closed on Tuesday the week we visited. Agave (Mexican) was where we dined on out fourth night. We spent the day on an excursion visiting Chichen Itza, where we really were immersed Mexican history and culture. 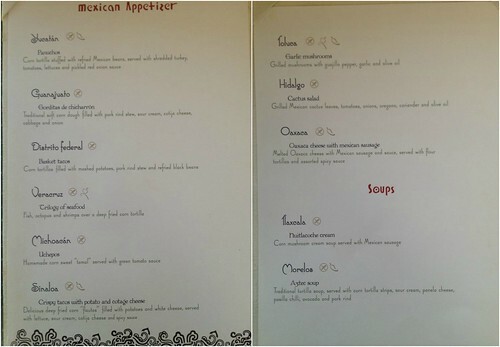 It was great to come back to EPM and continue with a truly authentic Mexican dinner prepared by Executive Chef Antonio himself. 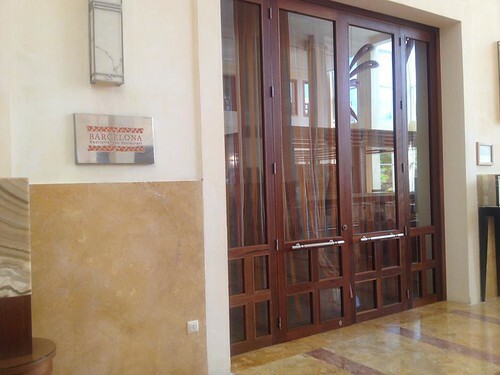 Upon entering, you can't help but notice the attention to detail yet once again. Our hostess, Angelina, greeted us by name before we even said anything. 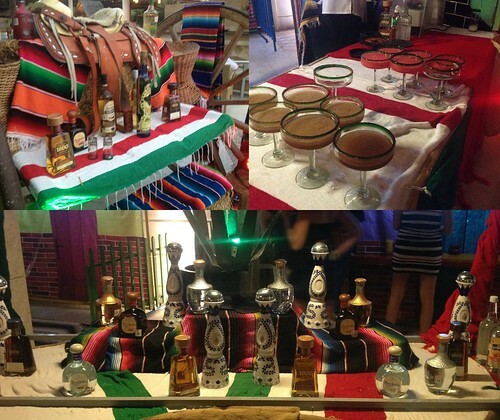 We loved the display of tequilas, which encouraged us to have a drink in hand shortly after lol. 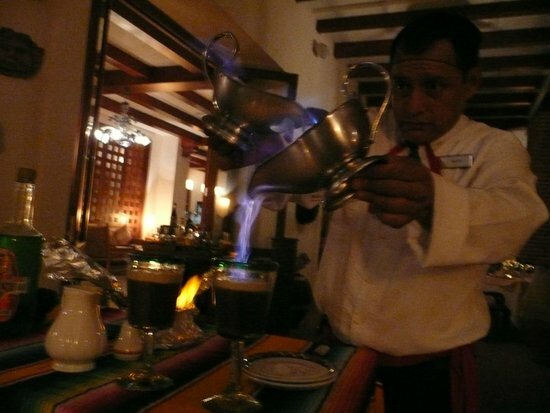 As our final treat to finish off such an amazing multi-course meal, Hugo prepared a Flambé Mayan coffee, which was involved yet fascinating to watch. 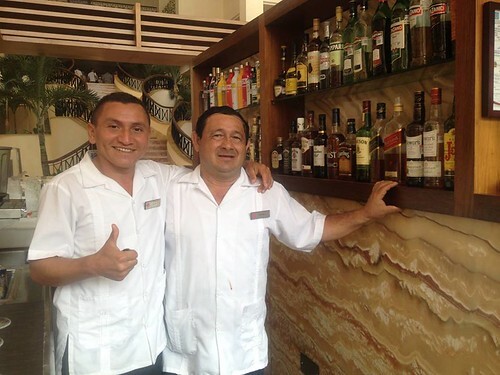 Coffee was prepared with a bit of Xtabentún, an anise liqueur made in the Yucatán region of Mexico. It's derived from anise seed, fermented with honey made from the nectar of xtabentún flowers and mixed with rum. Hugo carefully prepared this using flameproof sauce boats by pouring coffee and the liqueur while the alcohol was lit, casting a blue flame. So skillful and delicious too! Our server was Hugo (far right) needs a little shout out as he was such a wonderful server. We loved how he made us feel so welcome and enjoyed learning about him and his family. 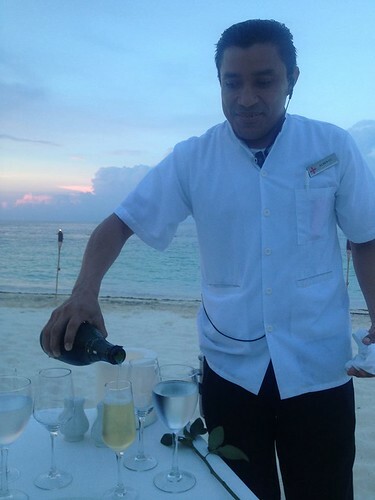 With each course, he accompanied Chef Antonio and ensured we had everything we need. We returned to visit Hugo on our last night before we left to thank him for his time, effort and overall service. He was so appreciative, we exchanged hugs and I look forward to seeing him and the other staff again too. This restaurant was closed on Tuesday and Friday the week we visited. 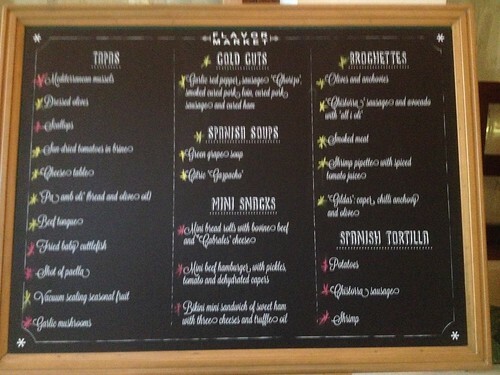 The Flavor Market (gourmet selections), was our dinner choice for our fifth night. This was such a great restaurant and I only wish we stayed longer to enjoy the variety of offerings available. 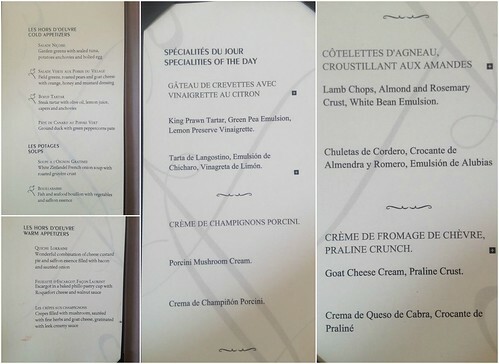 Our dinner menu was also custom planned on our behalf by Executive Chef Antonio. 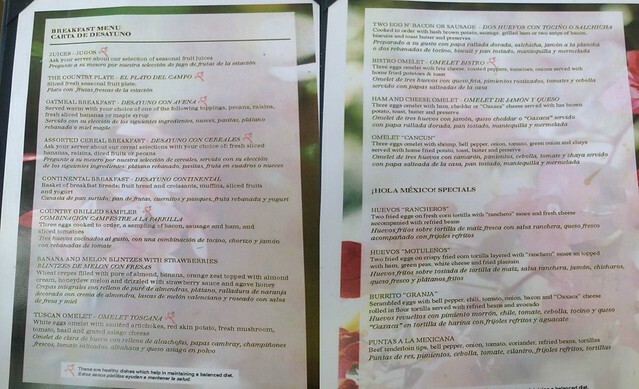 His head chef at the restaurant prepared our dishes and came out at every course to describe each to us. We were seated at this table, only again, adorned with fresh rose petals and candles. It was beautifully done as usual! Our server for the night was Francisco (middle), who was fun, entertaining and so personable. We really enjoyed his energy at dinner and are so thankful for the warm welcome and service from the restaurant manager (left) and hostess (right) too. Overall, I loved how the interior of the restaurant truly has a Spanish tapas feel complete with the traditional tapas bar with refrigerated cases. Inside the cases a few prepared tapas ready for serving, perfect for a quick snack or appetizer with cocktails in hand. This restaurant is open from 6pm to midnight. This restaurant was closed on Thursday the week we visited. The Lobster House (beachside lobster) was where we had our sixth dinner, the last restaurant we had dinner at during our stay. We've eaten here previously for lunch (which we loved!) and we were anxious to see how dinner at The Lobster House would be. We were seated overlooking the lit up pool, which was gorgeous at night, with the beach off in the distance. Our table was beautifully decorated with more fresh rose petals and napkin swans with tealights. Such a romantic setting! After this dinner, it was safe to say that the entire menu was outstanding. Every single course was delicious and paired so well with each other. I liked the sorbet in between the lobster and beef filet courses so we could fully appreciate the beef after the succulent lobster. My husband's favorite dessert is anything involving peanut butter and chocolate... so when the dessert came out, he was so excited. He is still talking about that dessert, 2+ weeks later! Our server, Graciela, also needs a shout out. 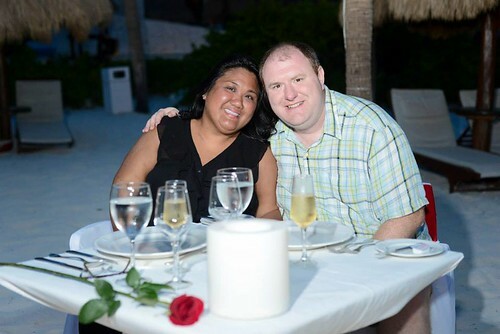 She waited on our table during our first night when we attended the White Night Beach Party (more on this below) and five days later, she remembered us! It's that level of customer service where EPM staff get to know their guests and remember them, making it feel so much more personable. In between courses, we got to know each other better and I learned that Graciela recently started working at EPM merely two weeks prior. With that great memory and outstanding customer service, she carries herself like an EPM pro! It was great that our final restaurant meal ended at The Lobster House with Sr. Aldo. I appreciated the time he took out of his busy schedule to focus it on our dinner and help the head chef serve us. 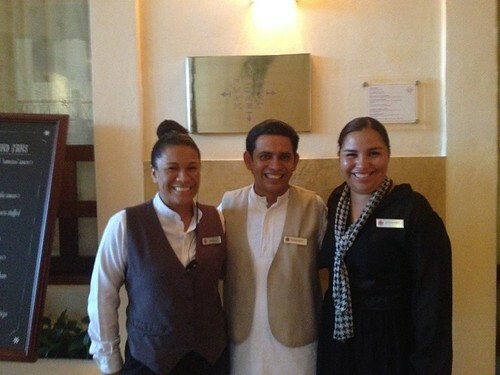 It also shows that Sr. Aldo has the agility to not only manage his staff but work along side them too. This restaurant is open from 6pm to 11:00pm. This restaurant was closed on Monday and Friday the week we visited. This restaurant was closed on Saturday the week we visited. The Grill (casual steakhouse), was yet another restaurant we were unable to dine for dinner. 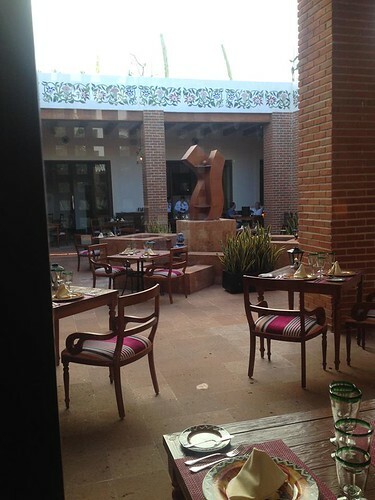 We have visited for lunch and loved the food, view and casual vibe. Sadly, I was unable to get any information on the dinner offering at The Grill, but I would assume steaks and grilled items are the specialties! Gentlemen: Long pants, dress shirt. This restaurant was closed on Monday the week we visited. So on the last and final night of our 1 week stay at EPM, we enjoyed a sunset beach dinner. 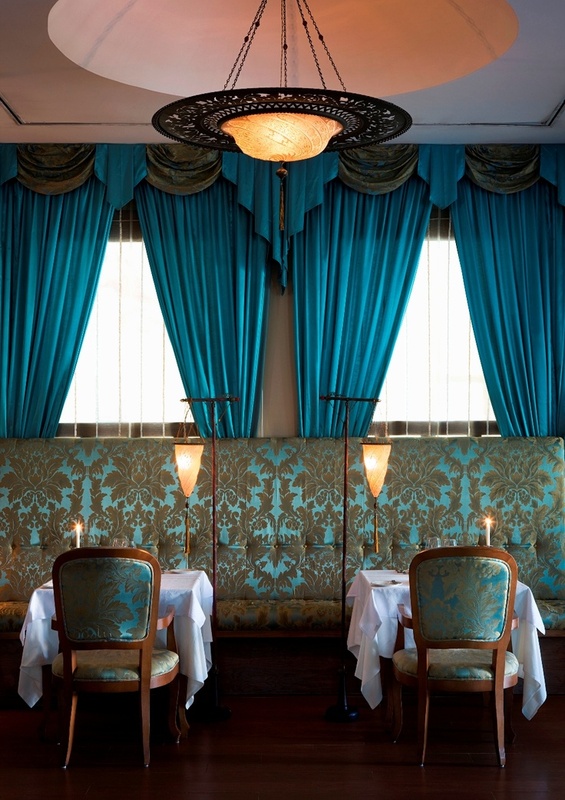 This is a dinner that must be requested in advance or at the time of arrival. 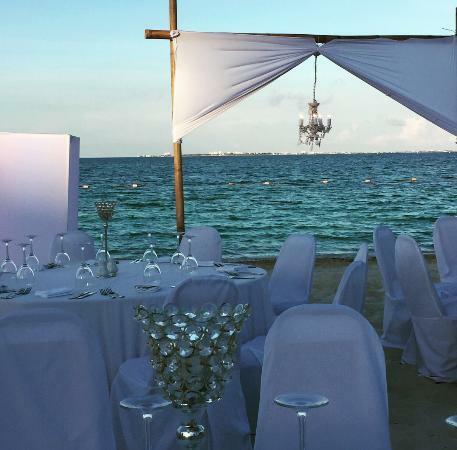 For EC members on their honeymoon (within 3 months of their wedding date) or anniversary (within 7 days before or after their wedding date), the beach dinner is complimentary. 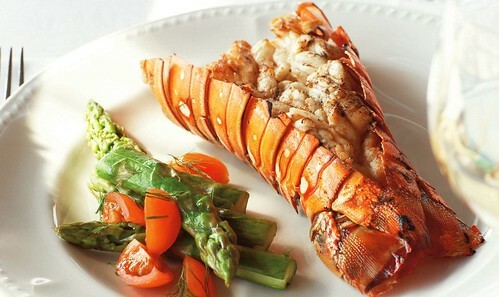 For standard stays, the beach dinner is for an additional cost. Proof of wedding date is required and acceptable forms of proof include a copy of the wedding invitation, marriage license, and/or marriage certificate. The beach dinners have two seatings - 7pm and 9pm. 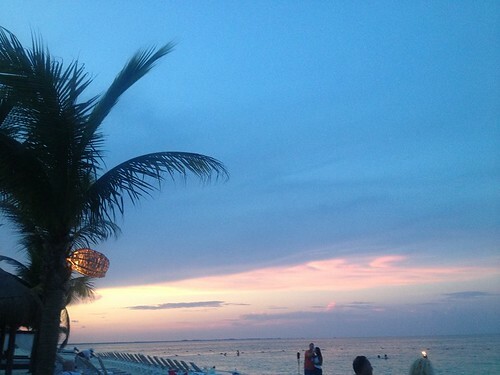 I would recommend the 7pm seating so that you can take advantage of the beautiful beach sunset. 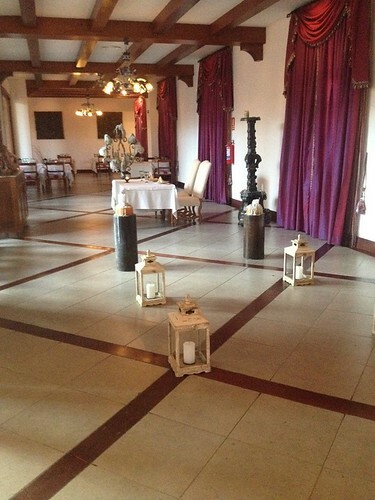 This also allows you to enjoy seeing the set up and surroundings, including the dishes prepared. The 9pm seating is very dark with little lighting to see much of anything, including your food, but you certainly hear the waves crashing on the shore. Guests meet at the lobby and ladies are given a long stem rose. 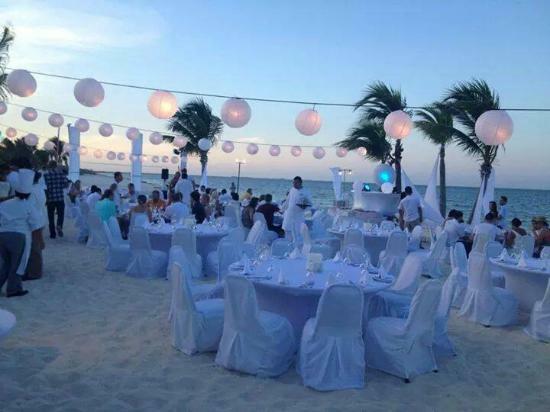 All couples are then escorted to the beach to their respective tables for each couple. In total, there were four couples (including us) enjoying the beach dinner at the same time. Our tables were spaced comfortably and far enough from each other. As couples are enjoying the view, a photographer comes around who will take your pictures. Pictures are available for purchase (optional) after the dinner and are priced at $20 per picture. You can also purchase packages at a discount. Regardless, feel free to haggle the prices down as the photographer service is a third party - not specifically tied to EPM. 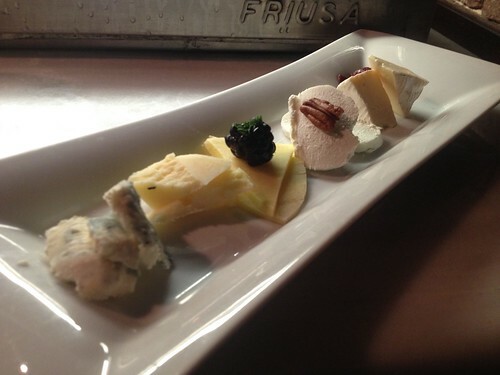 All dinners include a salad course, soup course, your chosen entree selection and dessert course. Champagne, wine, and requested cocktails are also available. Coffee service is offered with dessert too. 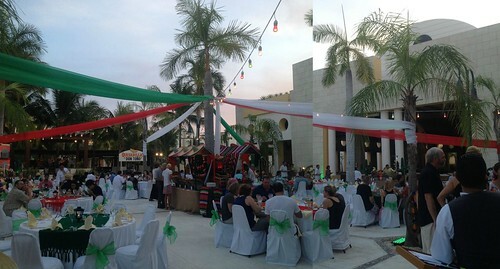 We thought the beach dinner was the perfect way to enjoy our last night at EPM. The sunset was gorgeous, food was fantastic. My only suggestion is to have more lighting so we could see and eat our meal a little better. The dim light hung near our table wasn't close enough to really cast any light at our table. And the LED candlelight on the table merely added a soft glow - not a true light to see anything. Perhaps if you're lucky, you'll be dining when there is a full moon out! Regardless, it was still wonderful and I wish I could have had some pictures of the food. By the time we were finished with dinner and back in our room, we were pleasantly surprised that our jacuzzi was prepared and decorated with candles, towel swans and more fresh rose petals. TIP: Depending on the weather, you may want to consider bringing along bug spray to heed off any mosquitoes. So by now, you may be overwhelmed with the amount of food info already provided. If you think the restaurants and their offerings were more than enough to satisfy and impress a "foodie," EPM offers more. Much more. 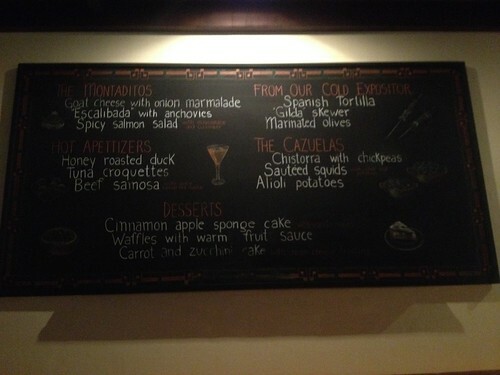 Here are some additional culinary highlights we experienced during our stay. One of the activities offered is a Kitchen Tour. I was thrilled when I saw this on the activity board. I took the tour on our last full day at EPM and after the tour, everything really came together for me, justifying why I thought so highly of the food and beverage program. All food and beverage staff are required to adhere to a specific dress code prior to entering the kitchen area. This sign is located at the employee entrance with a full length mirror outlining the dress and professional expectation each must have. Typically in the United States, this is enforced but at EPM, it is truly a priority where staff are audited weekly. 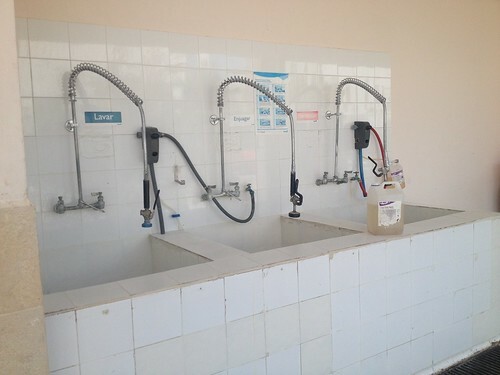 Cleanliness and hygiene are also highly regarded. This is a standard washing station located throughout the kitchen areas. These stations allow employees to wash up by using their hip to turn the sink on, utilize sensor activated soap and sanitizer dispensers and pull out paper towels - all without having to touch anything with their hands and taking the extra measure of keeping hands clean. Gloves are also readily available so clean hands can be placed into clean gloves to begin working with food. And also take note - white jackets, hair nets and proper footwear are also required in the kitchen areas. 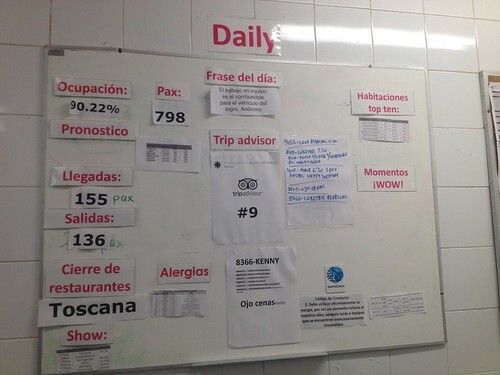 In the kitchen, this main board outlines the daily specifics of the resort and includes the occupancy, number of guests arriving and departing, which restaurants are closed for the day, phrase or thought of the day, guest food allergies, shows and special events, top ten habits and other details. In the middle of the board is EPM's Trip Advisor ranking - which is #1 for all of Playa Mujeres resorts and #9 for all of Cancun resorts. 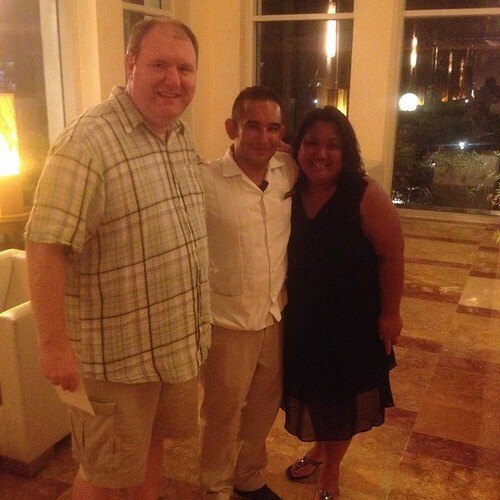 This is especially important to staff because their ultimate goal is to be #1 in all of Cancun. 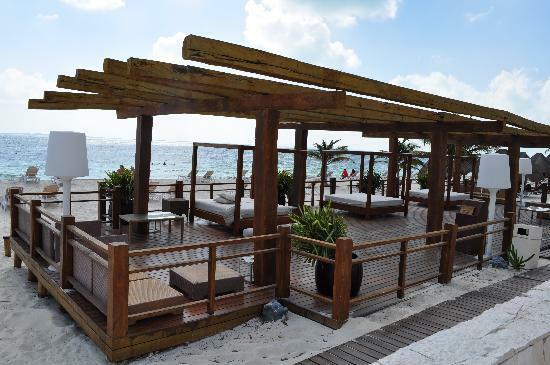 Currently there are roughly 800+ hotels and resorts within Cancun and to be ranked as one of the top 10 via Trip Advisor is quite an achievement. Yet, for EPM, this is not good enough. They definitely see to it that all guests experiences are the best they could be and try to achieve that every day. It's no wonder that staff will often ask how your stay has been and may even encourage you to share your experience on Trip Advisor to help their rankings. They will not force or overly request your TripAdvisor review but it certainly is appreciated. 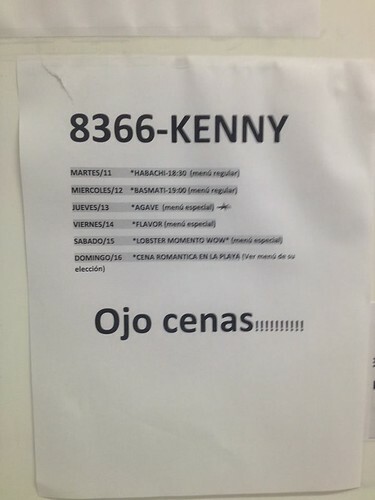 I was quite surprised to see our room number and last name on this page right on the board! 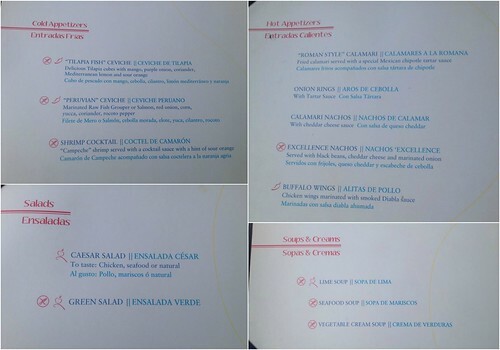 Now it makes sense how every restaurant we visited during our stay knew our name and why we received the special menus for dinners. They certainly made sure to give us some VIP treatment! 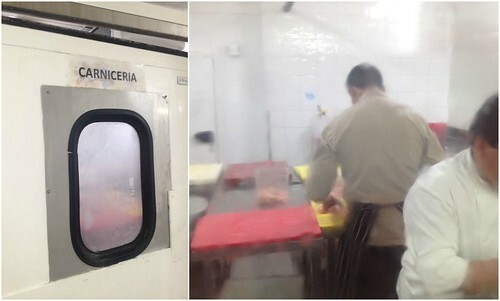 Going back to the tour, all fruits and vegetables are inspected upon delivery in their outside kitchen. Here all fruits and vegetables are triple washed in the large sinks to ensure freshness and cleanliness. Fruits and vegetables are then sent to specific kitchens handling these ingredients. 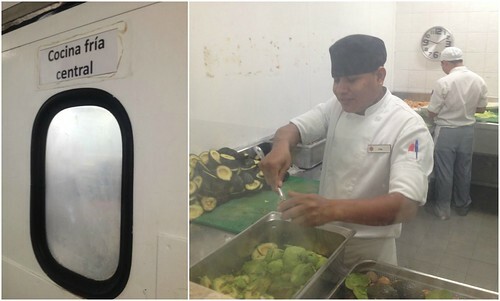 The cold kitchen above is where cold items are prepped, such as the avocados for guacamole. 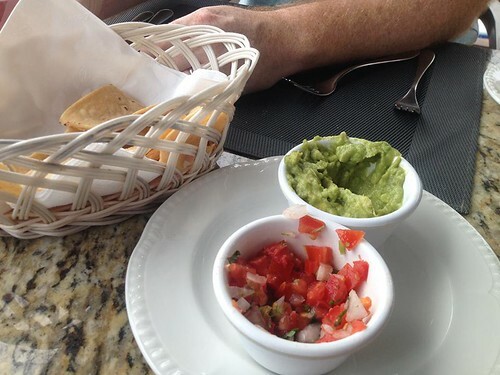 This is the most popular condiment at the resort, going through several pounds of avocados day! Red boards are used with only red knives to prep raw beef. Yellow boards are used with only yellow knives to prep raw chicken. White boards are used with only white knives to prep raw pork. Brown boards are used with only brown knives to prep cooked beef/chicken/pork. Having this level of detail in the preparation of meats is extremely smart and important to prevent cross contamination and ensure proper meat handling techniques. 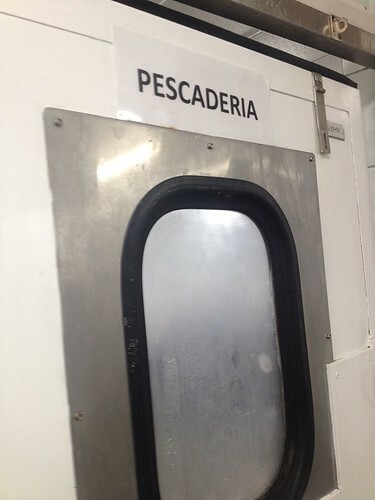 The same can be said about the Pescaderia in which all seafood is processed and prepped. Here, blue boards and knifes are used. 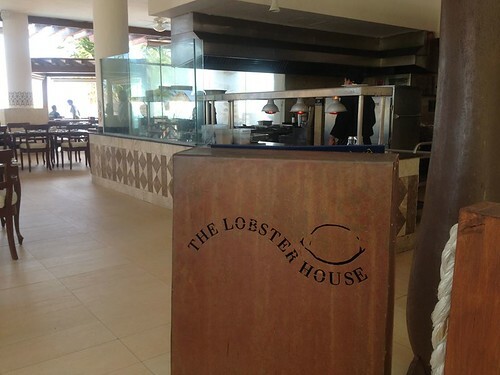 This room handles all the seafood for the various restaurants at the resort, namely The Lobster House as they have the most seafood on their menu. 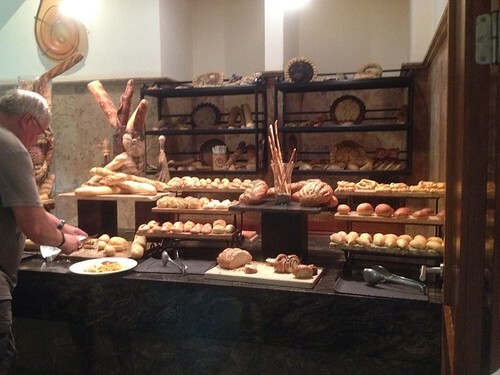 Here is the bakery in which all breads and pastries are prepared. Staff is here as early as 5am to 6pm preparing the daily rolls and pastries found on the buffets and all dinner restaurants. 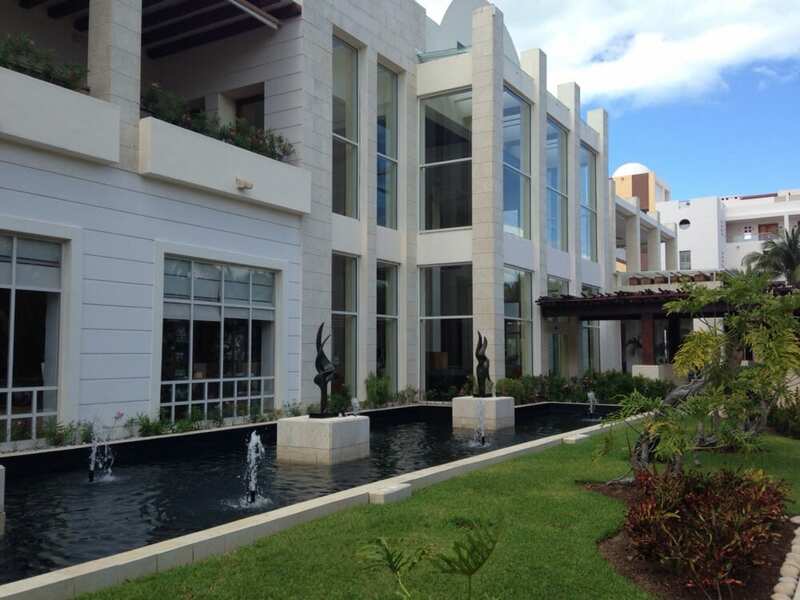 The flour used is local, making EPM a resort that encouraged sustainable and local vendors when possible. Gluten free items are also available and GF breads and pastries are handled in a smaller area to prevent cross contamination as well. 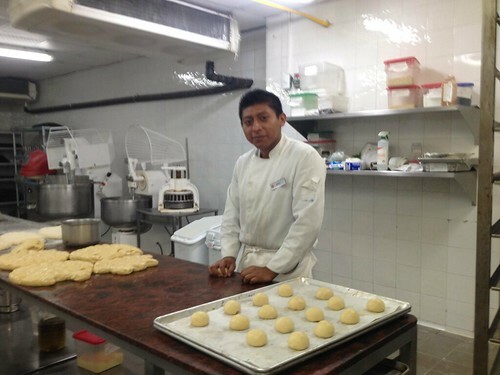 Some pastries made in the bakery room are then transferred to the pastry room. 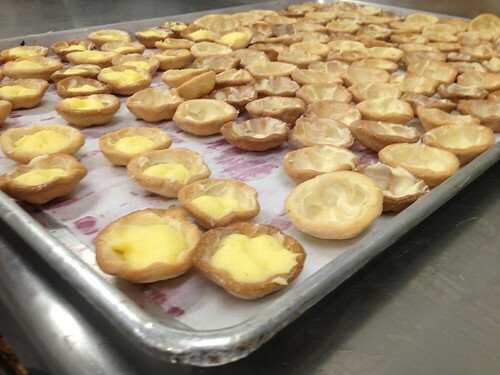 Here, fillings such as creams, curds, and the like are prepared and assembled with baked pastries. 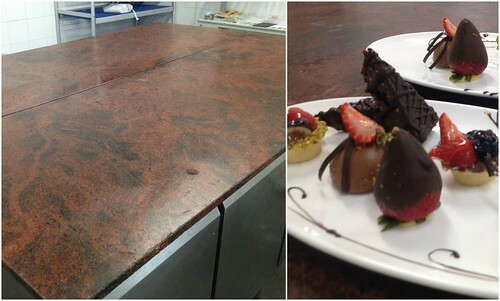 Within the pastry room is this large marble island. The island is primarily for chocolate work. With the amount of chocolate used in the various desserts on the menus, the chocolate table allows them to temper the chocolate and work it in various ways. That said, this room is kept cool so that the chocolate can maintain the proper temperature in creating all the delicious sweet treats. Another room is also dedicated to just ice cream. 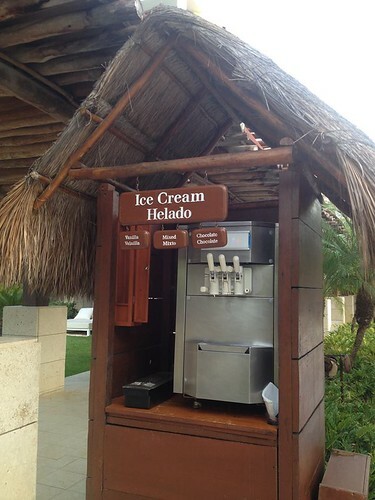 The resort goes through several gallons of ice cream made on premises. 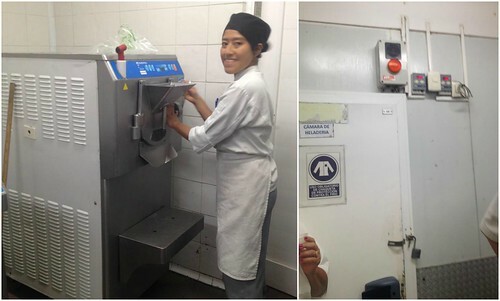 A specific freezer just to hold the ice cream is highly monitored so that the ice cream freezes correctly for the perfect consistency. Adjacent to this room is the ice cream pantry, housing various extracts, flavorings, mix ins, nuts, chocolate, candies and the like to create every ice cream flavor imaginable! I mentioned room service quite a bit and here is where the magic happens. 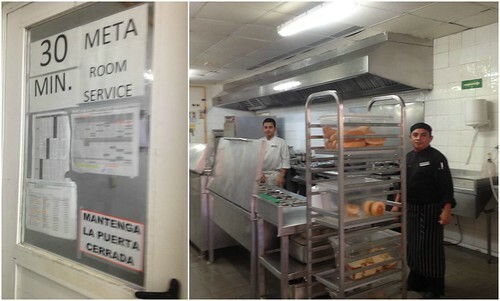 Room service has their own separate kitchen from the resort restaurants. Room service is available 24/7 so it's important that the kitchen is able to run independently from the other restaurant kitchens. The busiest time for room service is in the mornings, as guests tend to take their time waking up and often prefer eating in their room. When placing your room service order regardless of what time of day, you will often be told of a 45 minute wait for your food to be delivered. 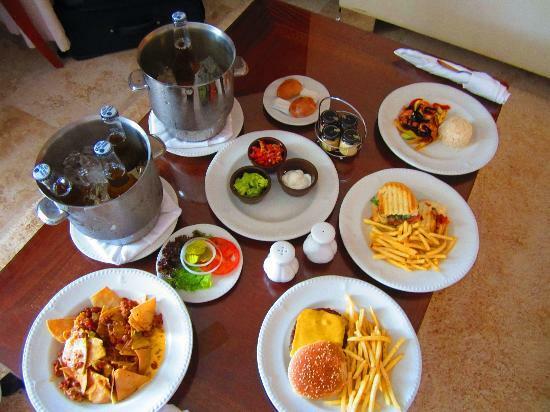 The truth is, the internal time of the room service kitchen is having your food ready and delivered by 30 minutes. Another thing the room service kitchen has in place is a measure of consistency. 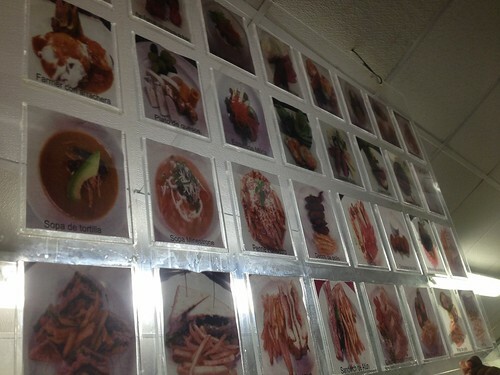 Hanging above the kitchen area in front of the line cooks is this board of dishes. 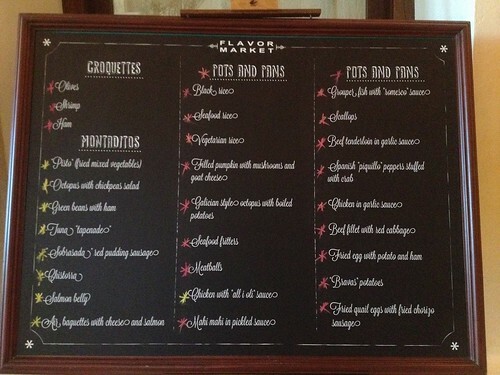 All of these are dishes from the room service menu and the goal is to have every ordered dish look as it does on this board. This maintains consistency and makes it easy for the expediter to quickly review orders are as they should be. Impressive! A majority of the kitchens are housed together in a central area and includes kitchens for Barcelona, Toscana, and Basmati on the main floor. Spice and Chez Isabelle have smaller kitchens on the second floor. 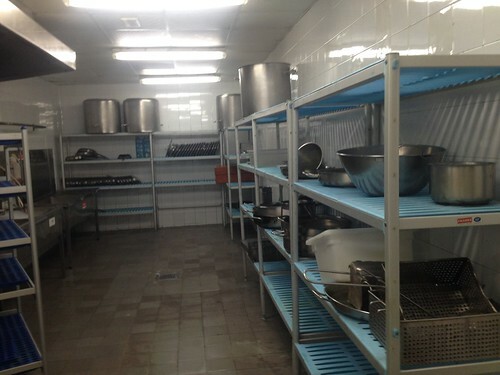 This is the kitchen area for Barcelona restaurant and immediately I'm pleased with how clean the area is. It's apparent the standards of cleanliness are kept in the kitchen, just as much if not more than how the restaurant appears to guests in the front of the house. 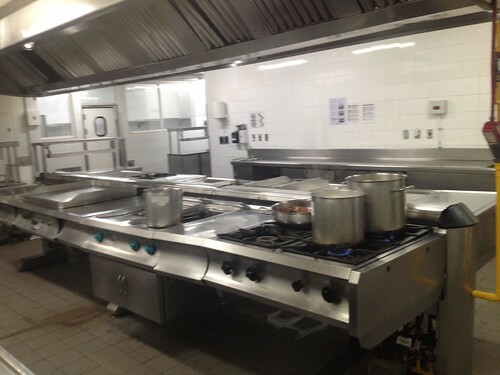 This is the kitchen for Basmati restaurant, with the stainless steel tandoor and commercial kitchen items for Indian/Pakistani cooking. 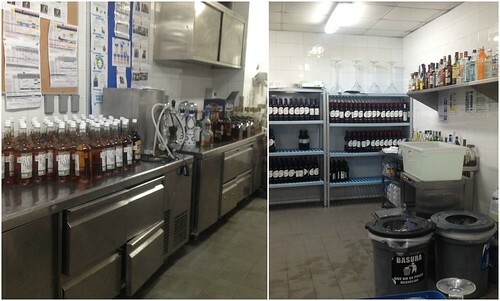 The dishwashing area is also impressive. 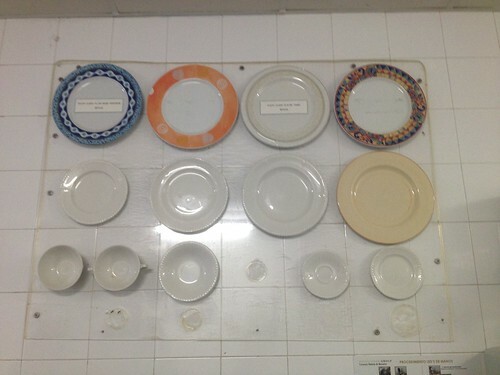 Just before entering the common dishwashing area, you'll notice a display of plates on the wall. 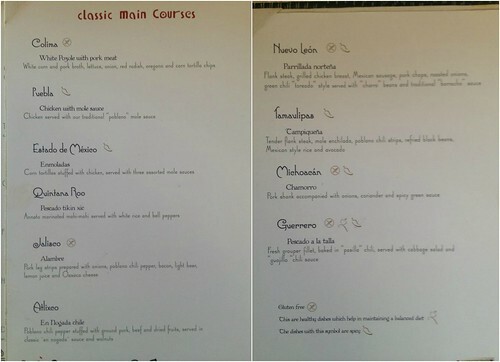 Each restaurant has specific plates used and each are pricey. You won't find cheap plates to eat on at the resort restaurants. And to remind the staff, the price of these plates are noted so they can take extra care handling the plates. 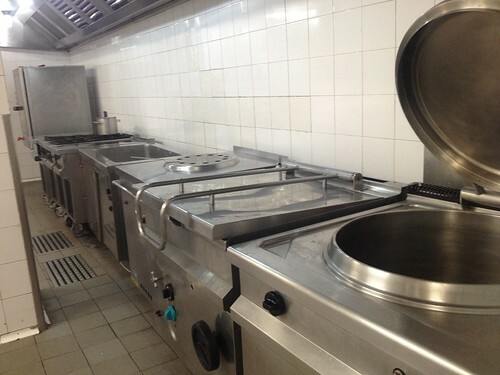 This is the dishwashing area for pots and pans - so clean and dry! I love the open, organized and ample shelving, making it easy for items to dry quickly and safely. Speaking of organized, EPM also makes it a habit to be green and environmentally smart. As a result, garbage and waste are labeled and disposed accordingly by material - plastics, metals, and tetrapack containers. 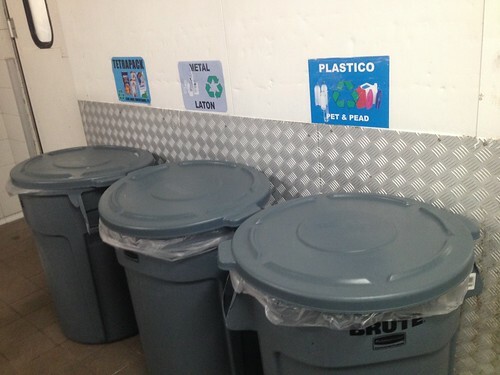 Not shown are bins for used oil and also organic materials such as fruit and vegetable waste. 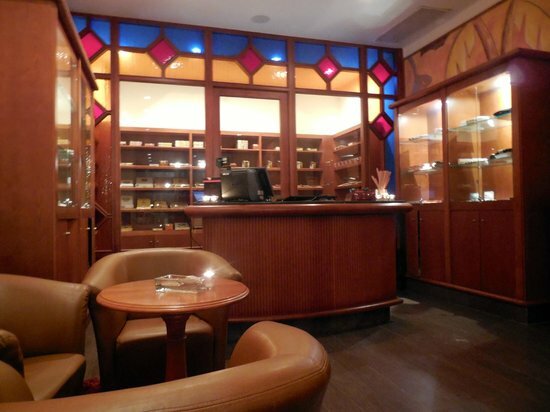 The above are the bar areas of the restaurant where wines and liquors are housed. 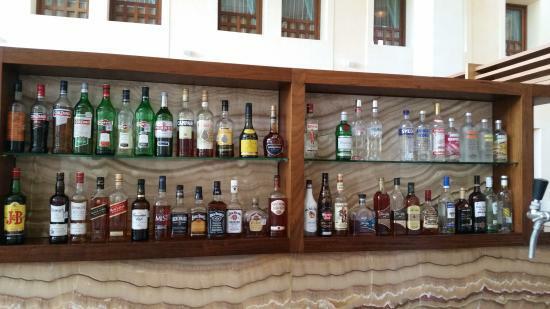 These rooms keep all the excess liquor for the resort bars and staff replenish them multiple times a day. Not shown is the water filtration process. All water - used in the preparation of meals and even ice for drinks - are filtered before using. There is a separate room in which the filtered water is checked and you can rest assured that the water at the resort is safe to use. After taking this tour, it became clear how EPM runs a tight ship and why the food and beverage program is as wonderful as it is. They take great care with the high expectations and standards set for food and beverage not just at the front of the house that all guests experience but also the back of the house where the magic happens. 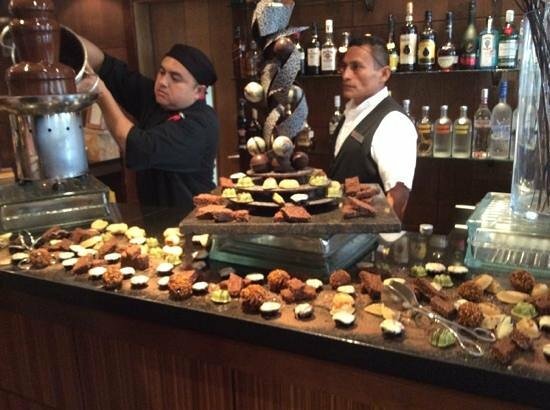 Another culinary highlight at EPM is the Excellence Club Chocolate Party. 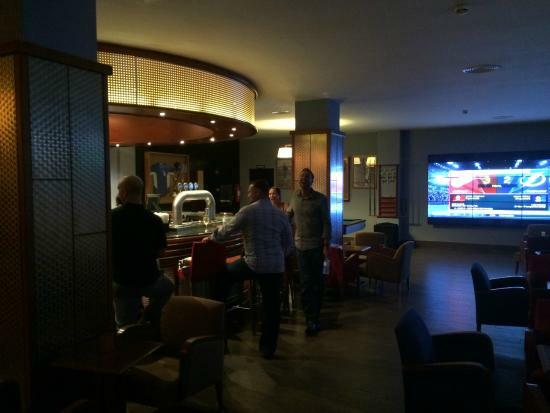 This is an event that is for EC members to enjoy at the EC lounge. 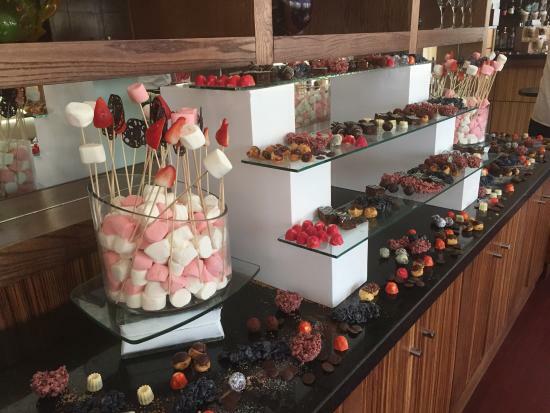 The lounge is transformed into a chocolate festival where truffles, chocolate waterfalls, chocolate pastries and even chocolate drinks are available. This is event is typically offered once a week and during our stay, it was scheduled for Thursday afternoon from 4pm - 6pm. Sadly, we were not at the resort to experience this for ourselves because we were away on a full day excursion to Chichen Itza. We told Sr. Aldo how we were looking forward to the Chocolate Party but were sad to miss it due to our excursion, however he took care of us and assured us that we would have a chocolate party of our own set up in our room. 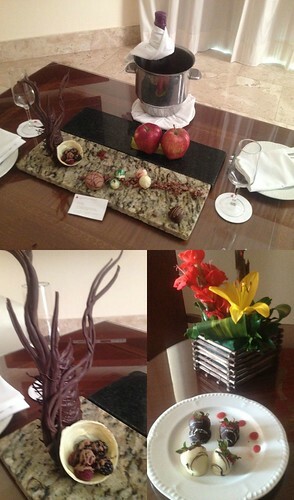 When we arrived from our excursion, we were welcomed with a delicious sampling of chocolate party treats! We were so grateful for the time and effort the staff put in so we could get a taste of the Chocolate Party we missed. The chocolate display included a chilled bottle of champagne, a tree made out of chocolate with a white chocolate basket full of chocolate dipped berries. Assorted chocolate truffles and mini macaron cookies also decorated the display. And they must have caught on how much I love chocolate covered strawberries as they also included a plate with them for us to enjoy! 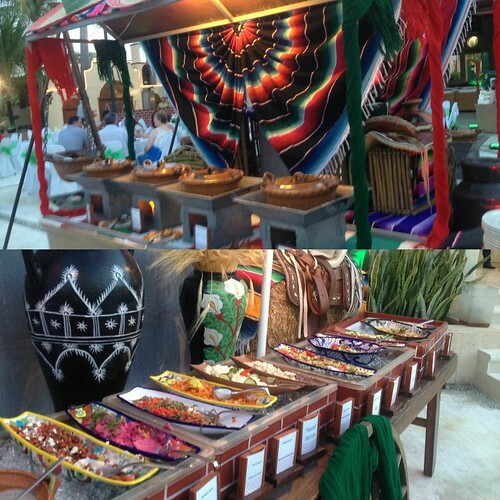 Stations are set up around the perimeter of the courtyard and also in the center where many dishes can be feasted on. Authentic tamales, local dish stews, a variety of salads, ceviches are beautiful presented in colorful Mexican servingware. 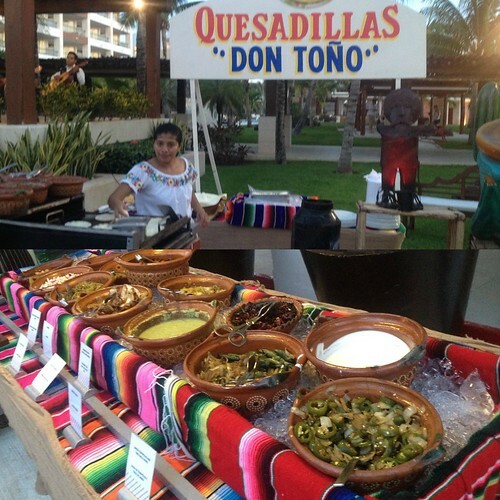 Grilled items such as a sirloin roast, the popular fish of this region, Grouper, pork carnitas and even chicken al pastor are offered, all deliciously prepared and fresh off the grill/spit. An elotes station is also available, where native Mexican corn is steamed, hand cut off the cob and served with mayonnaise, crema, cojita cheese and a fresh squeeze of lime. Fans who love fresh quesadillas can have their fill at the quesadilla station where they are fresh and made to order, You can choose to fill them with cheese only, or add carne asada, chicken or even shrimp. Dress the quesadillas your way with a topping bar offering pickled jalapenos, shredded cheese, pickled vegetables, crema, pico de gallo, guacamole and other garnishes. 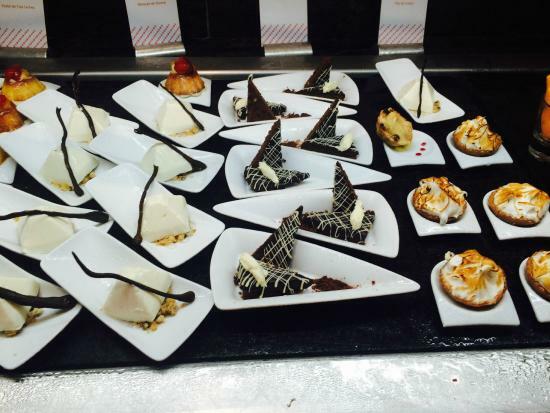 Fresh breads fill baskets with crisp tortilla chips and the dessert table doesn't disappoint either with churros, tres leches cake, tarts, fruit salad, rice pudding and more to satisfy your sweet tooth. 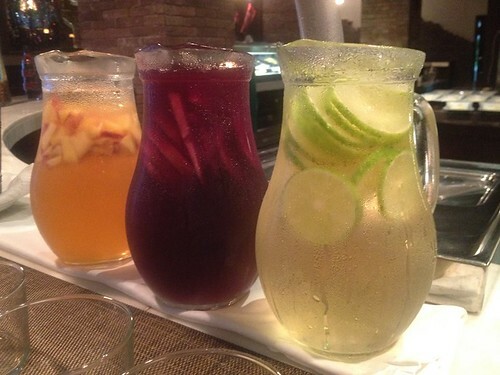 Drinks are also flowing at the fiesta and upon arrival, you're welcomed with your choice of margarita - tamarind, mango, strawberry and original. 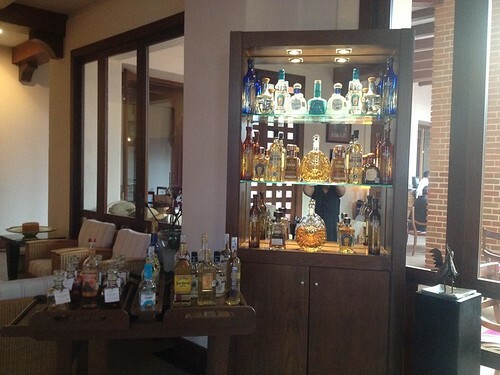 If you're up to it, you can also enjoy a variety of tequilas too! 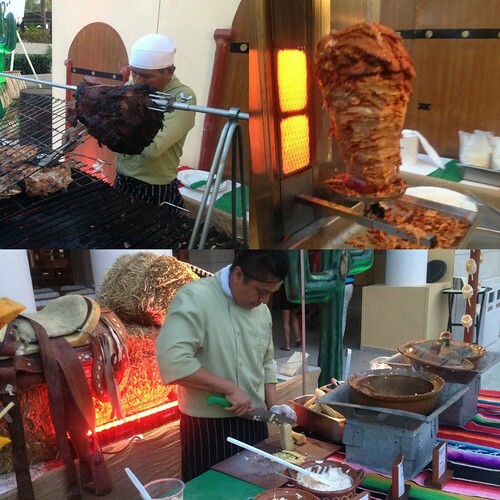 The Fiesta Mexicana is definitely a culinary experience not to be missed. It's a beautiful setting with amazing food and glorious music fills the air. 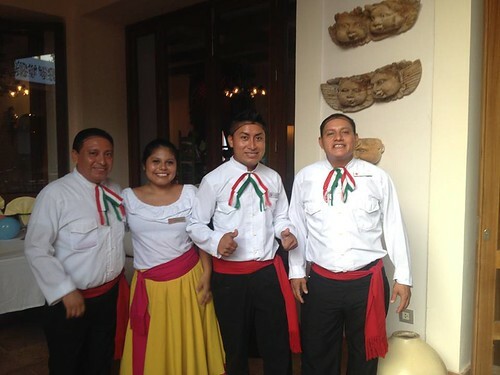 Live entertainment includes bands, talented singers and even a mariachi band that makes their rounds through the dining area taking requests and serenading diners. The White Party is another event thrown at EPM every other week on Monday nights. This takes place at the beach in front of the X Lounge where tables and chairs are dressed in all white. The addition of crystal chandeliers, white paper lanterns and sheer curtains around the perimeter add to the beautiful ambiance. Guests are encouraged to wear white but it certainly is not necessary. Upon arrival, we were greeted with a coconut martini - so good! We were then escorted to a table to dine with other guests on the beach. With the feel of the soft sand in between your toes, the gorgeous sunset and shore breeze in your hair, you cannot help but sit there and ask if you're dreaming lol. 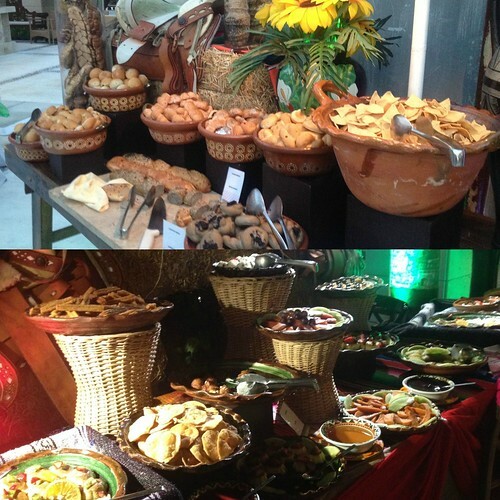 A lavish buffet was available featuring breads, spreads,, ceviches, salads, and a number of entrees all for us to help ourselves. Our drinks were constantly replenished and we were big fans of the coconut martinis lol. Live entertainment such as skillful performers walked throughout the dining area were also available with lively music in the background. You can come and go as you please, either sitting just long enough for a drink or two or enjoying the event as your full dinner for the night. 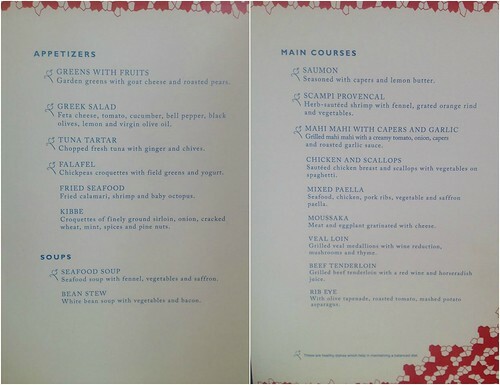 Culinary tastings and classes are also available, some are free and incorporated into the activities offered to all guests and the items below are also available at an additional cost, regardless of EC or not. The classes below need to be scheduled with the concierge as they are not necessarily offered daily and are subject to a specific amount of interest to be held. Tequila - Learn the secrets hidden behind tequila, taste the flavor of an ancient beverage, extracted from the agave hearts. You'll learn the process of how tequila is created into the drink we know and love. $25 per person additional cost. Mojitos - Sun, sea and a delicious drink like a mojito are a great combination. Mojito, translated into "little spell," allows you to feel the magic as your prepare your own mojito and discover what this drink entails. $25 per person additional cost. Mixology - Learn the secrets behind molecular mixology and make the drinks common on the resort. Aside from it being a refreshing drink, there is a science involved which you'll understand after this tasting. $25 per person additional cost. Coffee & Chocolate - Coffee and chocolate are a wonderful pairing and together you'll learn how and why they compliment each other in both drinks and dessert. $25 per person additional cost. Wine - Continue the experience in Mexico with high quality wines and delicious pairings with delicious Mexican canapes. You'll learn about the wine industry in Mexico and how it forged its history through a struggle and how the country's history goes together with wine. $25-$50 per person additional cost. 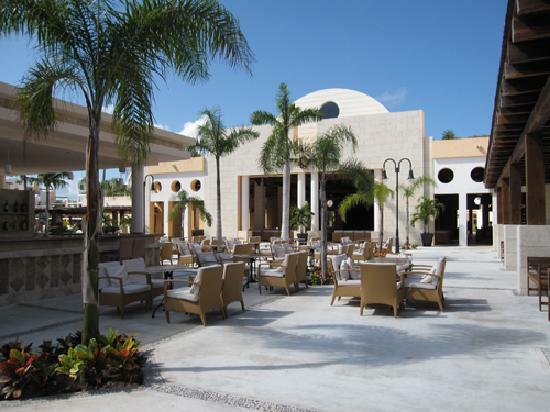 Cafe Kafe - Locaed in the central plaza, it is the ideal place to kick off the evening next to the resort's nightly events and also throughout the day as you relax by the lazy river outside of Building 7 and 8; open from 10am - 1am. Cielo - Located in the Excellence Club pool area of Building 8B; open from 9am - 5pm. 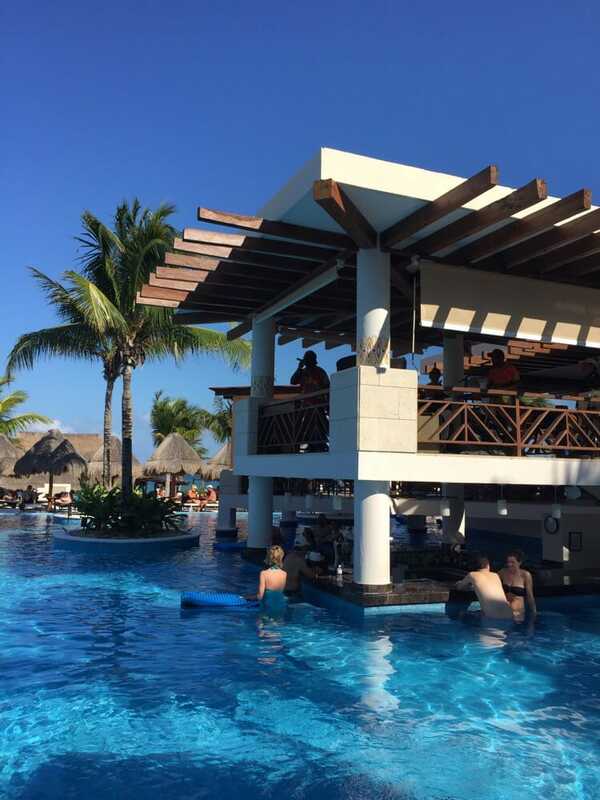 Blue - A swim up bar, located in the water at the main pool area underneath The Lobster House & The Grill restaurants; open from 10am - 6pm. 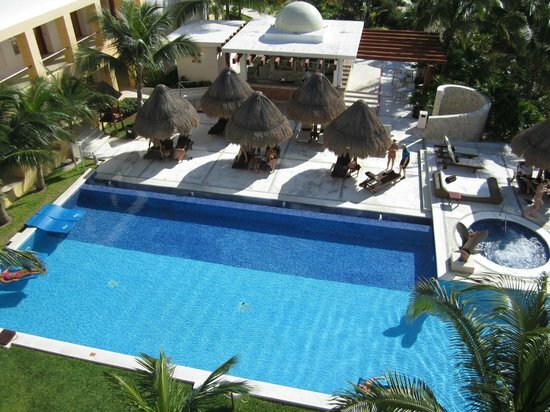 Sol - Located near the beach and pool by Building 9; open from 9am - 5pm. 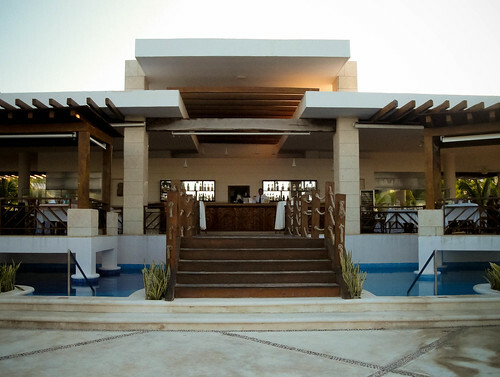 Revive - Located near the pool and lazy river by the Spa, this bar also offers a variety of natural juices and smoothies prepared with fresh fruit and yogurt. Open from 8am - 4pm. Aroma - Located at the top floor of the central building, this bar also offers a variety of natural juices and smoothies prepared with fresh fruit and yogurt. 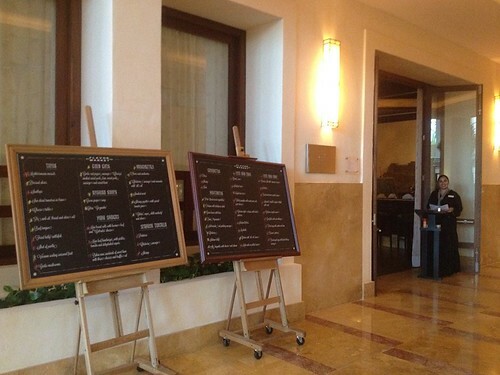 Also available are light snacks such as pastries, mini paninis, crepes, and gelato. Open from 8am - 8pm. Not Allowed: Tshirts, tank tops, shorts, beach sandal, swimsuits and wet clothes. 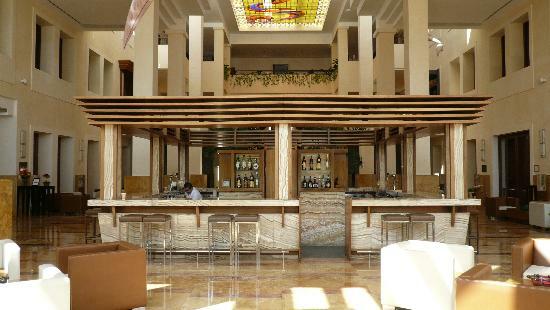 Martini Bar - Located in the cetral building of the resort, next to the lobby; open from 9am - 1am. Overall, The food and beverage program at EPM is definitely first class. I've been and worked in several kitchens around the world myself and have experienced various levels of cuisine - and what Patrick and I had the pleasure to enjoy at EPM was top notch and I don't use that description very lightly. Aside from the use of quality ingredients, pristine kitchens kept at the highest sanitary and organizational standards, welcoming and professional service, and knowledgeable staff with a smile, my lasting impression of EPM's food is nothing short of excellence. Sr. Aldo, Executive Chef Antonio and all the wonderful people working with them did an fantastic job providing such an amazing, delicious and memorable week of meals. They all really made the difference from a great honeymoon vacation to an excellent one. I am so impressed with how the culinary aspect of the resort was presented to me that I plan on returning again with fellow food bloggers in a few months to experience a unique culinary vacation. I look forward to working with Sr, Aldo and Executive Chef Antonio as a culinary ambassador to help others learn and appreciate the culture and cuisine of Mexico through Excellence Playa Mujeres.. . More details on this soon and stay tuned to my future posts on the excursions we took outside of the resort while in Cancun! Everything looks amazing! 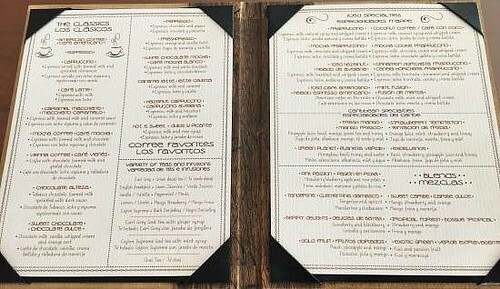 Question for you--you guys got special menus in a couple of the restaurants...was that due to being on your honeymoon, being EC members, or due to being a brand ambassador? Would others be able to have a similar experience? 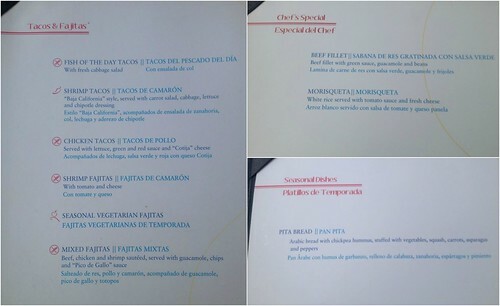 Were there extra charges for the special menus?